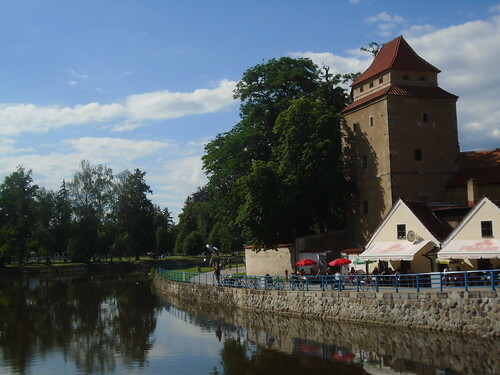 CESKE BUDEJOVICE – Established by the King of Bohemia in 1265, it became a Catholic stronghold during the long years of religious wars involving the (Catholic) Habsburg monarchy. Click here for more pics. 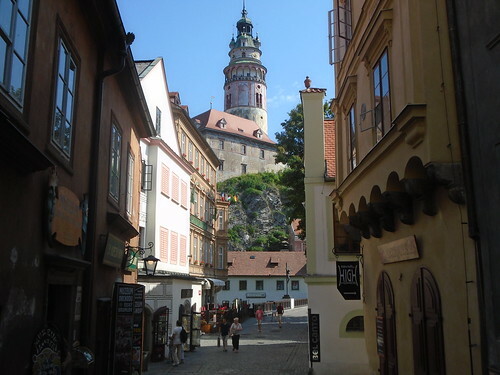 CESKY KRUMLOV – Probably the most visited town in the Czech Republic, its impossibly beautiful and well-preserved medieval quarter and castle are a joy to spend time in. Click here for more pics. VAC – A quaint, picturesque village dating from Roman times (4th century AD). Vac is located on the banks of the Danube about 30 miles north of Budapest. In 1241 A.D. the Mongols, as they were wont to do, burned down the town and slaughtered every person they could find. The town was later re-settled by Saxons from northern Germany. 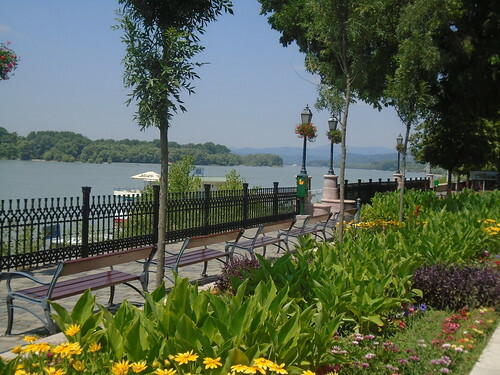 In the evenings, the promenade along the river is filled with folks enjoying the unbelievable summer setting. Click here for more pics. I TRY OUT THE EURO-VELO! 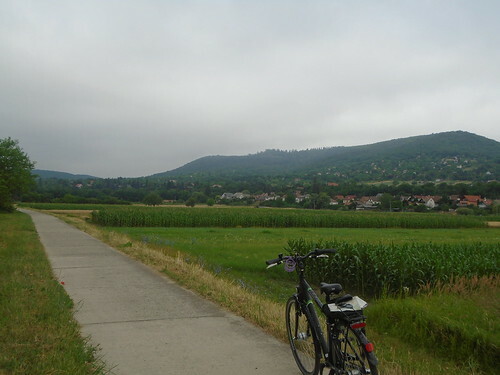 The EuroVelo is a network of long-distance bicycle routes in various stages of completion that criss-cross Europe. There’s currently over 27,000 miles in place. When I discovered that the EuroVelo passed RIGHT IN FRONT of my hotel in Vac, right on the bank of the Danube, I couldn’t resist trying it out. The owner of the hotel graciously offered me his bike to use and I left at 6 the next morning for an 18-mile ride. Brilliant idea! The track doesn’t just follow the river’s path, sometimes it angles off to go through dense forest or across the back end of a large farm or through a small village. It was beautiful! I’m definitely thinking about a long-distance bike trip next. Click here for more pics. This entry was posted in Europe - 2016 by bike2461. Bookmark the permalink. Awesome! So bummed I missed this. Hey, what kind of industries do these cities have? What do people do for a living besides hospitality stuff?